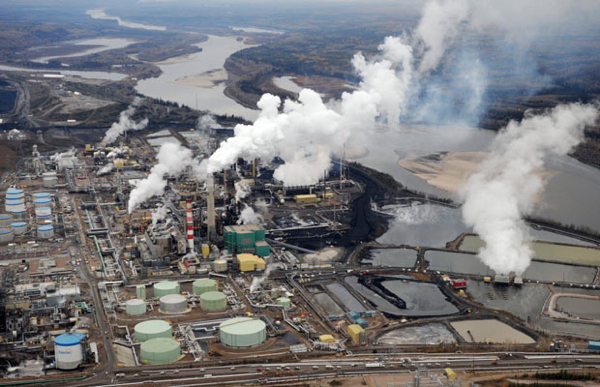 Aerial view of the Suncor oil sands extraction facility near Fort McMurray. A Suncor Energy (TSX, NYSE:SU) worker died Sunday at the company's Fort McMurray oil sands site, in northern Alberta. In a statement released late Sunday afternoon, the company said emergency personnel had responded at roughly 11:30 a.m. MT after an employee was severely injured while working. The employee was transported to the Northern Lights Regional Health Centre where he was pronounced dead. "This is devastating news and a tragic loss for family, friends and co-workers," said Mark Little, executive vice-president of Suncor. "Our thoughts and prayers go out to loved ones during this extremely difficult time." Suncor is working with the RCMP and Alberta Occupational Health and Safety to complete a full investigation into the incident. There was only one fatality in Canada’s oil sands industry in 2012, and another the previous year, shows the Canadian Association of Petroleum Producers’ 2013 progress report. It is unclear whether this includes employees of contract companies working at oil-sands projects and companies who are not CAPP members. Three people died at conventional oil and gas operations in Western Canada in 2012, the report adds.